Due to reports of ice in the Bering Sea they changed the rendezvous point to Pavlof Bay on the south side of the Alaskan Peninsula. 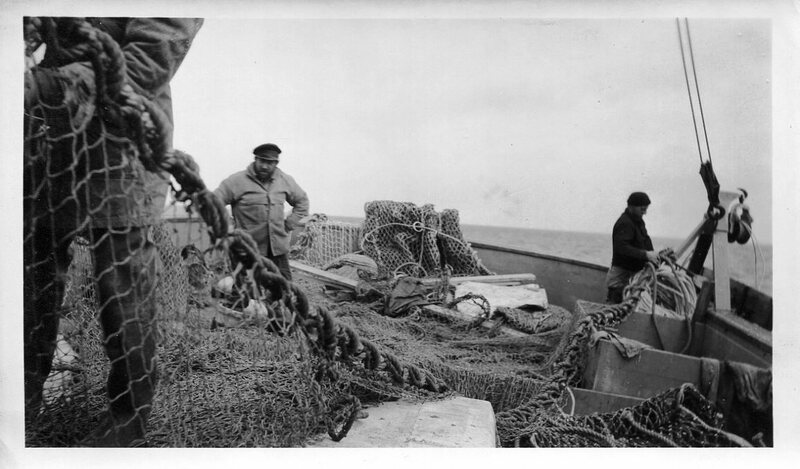 This was an area in which the original survey before the war in 1941 had found an abundance of king crab and was an ideal location to test the fishing gear and the factory. They remained therefor two weeks, giving the fishing vessels a chance to try their nets. 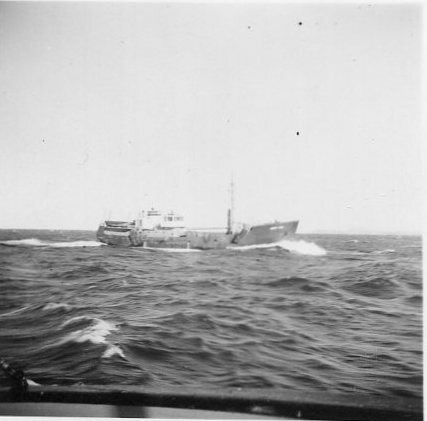 One of the three vessels, the Tordenskjold, changed over to trawling from tangle nets. It also gave the factory ship a chance in protected waters to get everything working properly and to test the delivery system forgetting the catch aboard the factory ship from the fishing vessels. The fleet finally departed and concentrated on the southeastern side of the Bering Sea, where the resource was reported to be most plentiful from information gathered in the 1941 study and again when the vessel Alaska conducted a scouting trip in 1947. The fishing vessels like Kiska caught quantities of king crab, flatfish and cod. 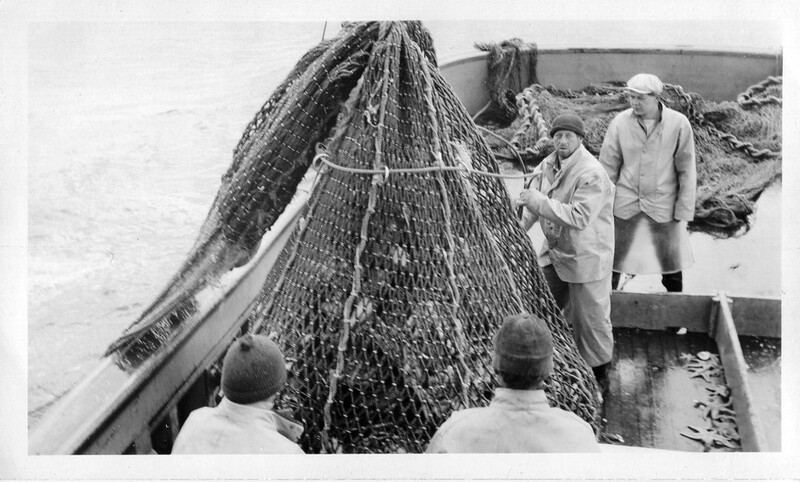 The net was towed along the bottom, retrieved and lifted aboard the vessel. Catch was sorted to be delivered each day to the Pacific Explorer for processing. King crab would be turned upside down to keep them from crawling away and were stacked along the rail and doused with sea water liberally and frequently to keep them alive, as all crab is boiled alive before processing. Cod and flatfish also had to be delivered the same day they were caught and that’s why only deck loads were delivered and the fish holds were not used. The top two boats were Sunbeam and Kiska,who exceeded the quota before the 90 days were up. They were able to continue fishing and landing fish and king crab and were paid extra at the daily rate the contract called for, which meant extra pay for them. 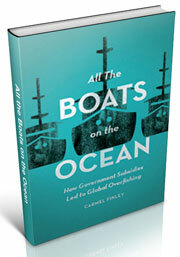 By July 5, 1948 all the fishing vessels had fulfilled the 90 days of fishing their contracts called for and had departed. 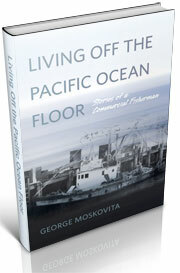 Pacific Explorer returned to Astoria on July 18, 1948, to offload the processed catch. Sorting the catch, Ed in the white hat, Ed Best photo. Results from the two trips indicate that the Pacific Explorer could have supplied needed protein to the troops if the trips had occurred during the war. During peacetime there was a need to make a profit, but since they didn’t make it (2) the operation was shut down, ending the Pacific Fishing Project. However, the Project did point out that there might well be other unknown resources along our coastal waters and we should find out if they existed. If we ever go to war again and need additional food we know where to get it, and that is what started the new branch of Exploratory Fishing. When the contract ended, Ed left Kiska in Cold Bay and flew down to Washington State. While in the Bering Sea, Ed had the foresight to take a camera with him and he saved the pictures. One of them was of the Deep Sea, which was working on this resource. The vessel was owned and operated by Lloyd Wakefield and would become known as one of the vessels that started the American King Crab fisheries (3). Another thing he brought back from the trip was claws of a huge king crab, which he had on his desk for years. 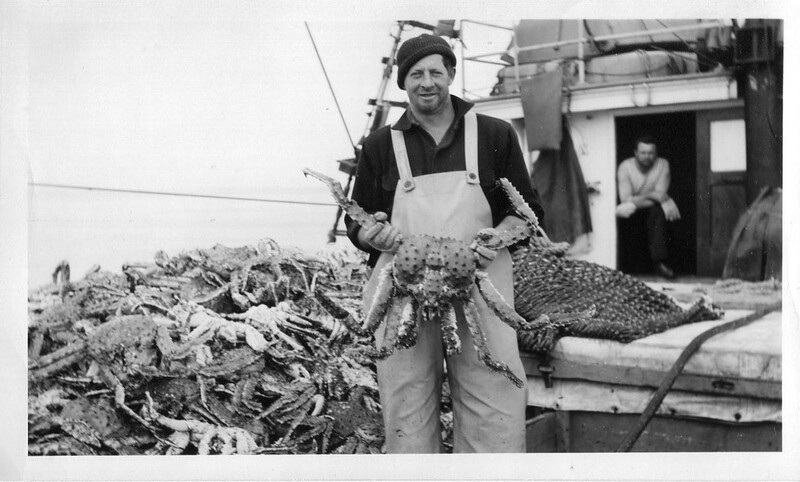 In those days a king crab was a rare and scary sight to most Americans. Ed remembers where he was paid but not the amount, which was paid by one check for the entire trip. Since it was cut in Astoria, Oregon, he remembers it because he had to pay Oregon income tax. If he had been paid in Washington State there was no state income tax. When he was in Washington State after that trip he was offered a job on the newly acquired exploratory vessel Washington, which was heading north to the Bering Sea that fall. This would be the first exploratory cruise of the newly formed Exploratory Fishing branch of the Fish and Wildlife and was one of the four fishing vessels constructed for the Pacific Fishing Project. It was fortunate that he didn’t go, as the trip was a trial due to severe weather they encountered in the Bering Sea during the equinox. Washington was designed as a Pacific combination vessel and was ideal for exploratory work because it could fish any of the commercial fishing gear, and was also designed for packing fish as a commercial fishing vessel. This design did reduce the space to do research. When it returned, the decision was made to have a combination vessel designed for research,because of the extensive modification that would have had to be done to the Washington. The engineering firm W. C. Nickum and Sons of Seattle was contracted to design it and Western Boat Building Company of Tacoma Washington received the contract to build it. The vessel was named the John N. Cobb and was commissioned in 1950. It became the dedicated exploratory vessel for the new Exploratory Fishing and Gear Research Base in Seattle. Ed was offered his stepfather’s seiner, but he said that he didn’t have the competitive spirit that would make a successful seiner. 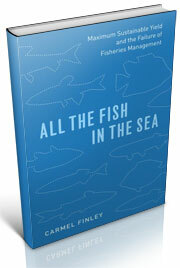 He decided to go to the University of Washington’s College of Fisheries and became a fisheries biologist. Between the GI Bill and salmon seining he graduated in 1953, and followed with a 33 year career with California Fish and Game and the IPHC. (1)Wigutoff, Norman B., Carl B. Carlson, 1950, S.S. Pacific Explorer, Part V, 1948 Operations in the North Pacific and Bering Sea. Fishery Leaflet 361, U.S. Department of the Interior, Fish and Wildlife Service, Jan. 1950. 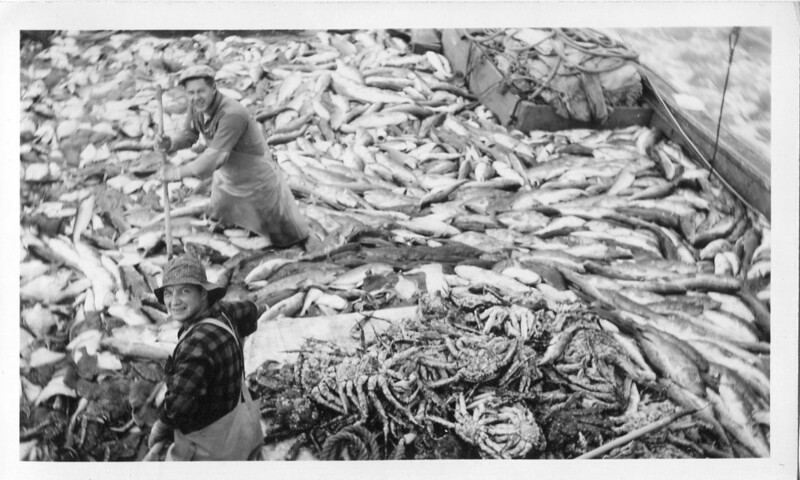 This entry was posted in boat building, Carmel Finley, Environmental History, Exploratory Fishing Base, Fishing, History of Science, History of Technology, Maritime History, Nick Bez, Ocean fishing, Pacific Explorer, Pacific Fishing History Project, R/V John N. Cobb and tagged Bering Sea, groundfish, History of Science, king crab, Pacific Explorer, Pacific Ocean, trawling. Bookmark the permalink.